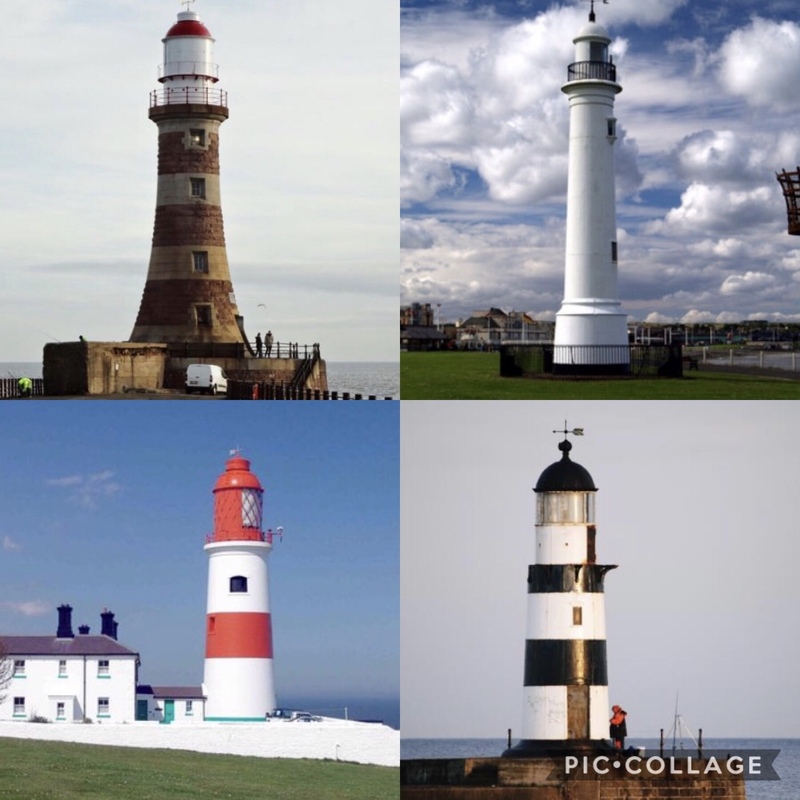 An introduction to the lighthouses in & around Sunderland. The dangerous rocks at Whitburn resulted in the construction of Souter Lighthouse in 1871. Souter was the first lighthouse in the world purpose built to use electricity, making it a technological marvel of its day. All of the machinery within the lighthouse remains in working order, and is open to the public to view. It was decommissioned in 1988 after 117 years of service to shipping in the North East. In 1856, this cast iron lighthouse was designed by Thomas Meik, and constructed on the South Pier of Sunderland’s dock. The Lighthouse remained in its position until 1983, when it was moved to its current location at Cliffe Park. The Roker North Pier was the first stage in the construction of the Lighthouse. It took 18 years, and needed the assistance of a 50 ton gib crane designed by Henry Hay Wake, the lead designer of the entire Pier & Lighthouse project. The Pier cost £290,000, and in 1902, Wake could finally set his sights on building the roundhead and Lighthouse needed for Sunderland’s port. The Lighthouse was completed within just one year, and had a grand opening ceremony on the 23rd September 1903. The interior of the lighthouse is truly remarkable and highly unusual as it was a non-residential lighthouse, displaying wooden panelling, parquet flooring and a bespoke tiled engine room. Seaham’s Lighthouse has been guiding vessels into the harbour since 1905, with the black and white tower reaching 10 meters in height. Seaham’s North Pier was designed by Henry Hay Wake and has a similar tunnel to the one at Roker Pier, but is no longer accessible to the public. This blog is a glimpse of a digital resource being produced that will feature the lighthouses on the North East coast. Keep an eye on the Roker Pier & Lighthouse social media and web page for updates.